Let’s reclaim 420 as a day to smoke meat, not that other stuff. 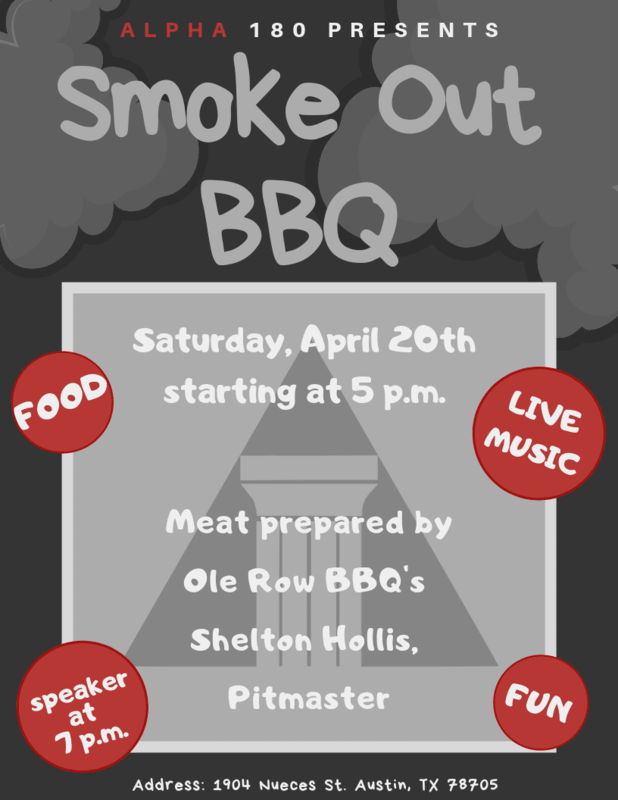 Alpha 180 is hosting a BBQ with food prepared by professional pitmaster, Shelton Hollis. There will be live music and a recovery meeting, as well!